Graeme McDowell works on one of his weak points ahead of his clash with Pádraig Harrington today. 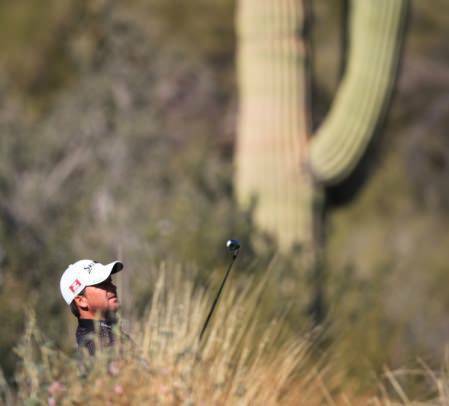 Picture Fran Caffrey/www.golffile.ieGraeme McDowell will show no mercy Padraig Harrington when the Irish stars collide in today’s first round in Tucson. Ranked 50th in the world, Harrington is in danger of falling out of that elite group and missing the WGC-Cadillac Championship in Doral in two weeks’ time. The Dubliner must win at least one man to seal his place in Miami without having to rely on others. But McDowell is determined to hand the triple major his sixth first round defeat in this event and his fourth in his last four appearances. “Padraig is a tenacious sort of fella but I won’t be sympathising with him if he has a first round loss, if you know what I mean,” McDowell said with a wicked grin. Harrington knows that McDowell will not be relishing a clash with a fellow Irishman in tough weather conditions. It’s putting that’s Harrington’s biggest bugbear on his return to Tucson following his failure to qualify last year for the first time since 1999. Following encouraging putting displays in South Africa and Abu Dhabi in his first two starts of the year and three good rounds in Phoenix, he lost his confidence on the unpredictable poa annua surfaces in California over the past fortnight, missing back-to-back cuts at Pebble Beach and Riviera. As a result he’s fallen to 50th in the world and is now in danger of failing to make the top-50 who qualify for the WGC-Cadillac Championship in a fortnight. Tucson is his fourth event in a row and while he could enter next week’s Honda Classic as a safety net in case he’s ousted from the top-50 this week, he’s heading home instead to recharge. Committments in Thailand and Malaysia in the two weeks after Doral have put paid to any temptation to divert to West Palm Beach. “It would mean eight in a row,” Harrington said. Padraig Harrington hits a mid-iron at Dove Mountain during a practice round with Shane Lowry. The good news for the Dubliner is that before a ball is struck today, he’s forecast to rise to 48th in the world rankings, meaning that he can afford to lose and still hold on to his top 50 place providing David Toms (48th), Thomas Bjorn (49th), Alexander Noren (51st) and Henrik Stenson (53rd) don’t all win their first round matches. He would also have to worry about the other 14 players below him having a big week by winning through to the third round. But that’s another story. But he’s well aware that he’s under threat from the lesser lights at the back of the field, such as a Shane Lowry. As for his putting, he said: “I obviously played well in Phoenix but when I got on the poa annua greens the last two weeks I putted very, very poorly. When you lose confidence on the greens it knocks a little confidence out of the rest out your game, so I am not 100 percent sure not to expect. The Dubliner did a TV segment for Sky Sports on his philosophy on gimme putts, which should make fascinating viewing when it’s aired this week. “I am amazed when it comes to gimmes. I never mind being asked to hit a putt. If it is that short, and it is not given, I can never understand why anyone would get upset. So why not just tap it in. I am happy to hit any putt. “Generally I would be really tough on gimmes. I would not give anything that is not a gimme, basically. I saw putts last week missed from a foot. Generally I will be more relaxed if he has two for it from 15 feet. On these greens around 2 ft is going to be the range. If it’s 20 inches or more you are going to ask him to putt it. On poa annua it is going to be even shorter. I saw a putt missed from a foot last week. “Lee Westwood at the Ryder Cup last year had that putt from 12 inches and said, ‘Well, I wouldn’t have given it to myself’. That’s the way I look at it. If I would give it to myself, I wouldn give it to the guy and if I wouldn’t give it to myself, I would make him putt it. TV angles can make that look terrible at times. But there is no pride out there. If I want a guy to putt from 18 inches, I ain’t ashamed. I couldn’t care less what anyone else thinks. I have seen putts given at times that I wouldn’t have given. I wouldn’t give them to my mother. “How long a putt would I give? It depends on the quality of the greens, or if it’s windy, or uphill or cross wind, or there is a genuine spike mark or maybe the guy has missed one and is feeling delicate. If the guy has holed putts all day, sometimes you don’t want to see him hole it. 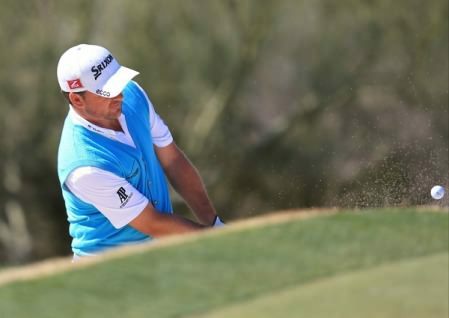 Graeme McDowell lost to Jason Day in the quarter-finals of the WGC-Accenture Match Play on Saturday afternoon. 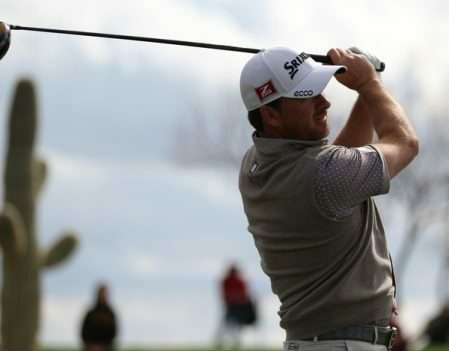 Picture: Fran Caffrey / www.golffile.ieGraeme McDowell lost by one hole to an excruciatingly slow Jason Day in the quarter-finals but left Dove Mountain buoyed by his best ever result in the WGC-Accenture Match Play. Graeme McDowell during the quarterfinals of the WGC-Accenture Match Play. 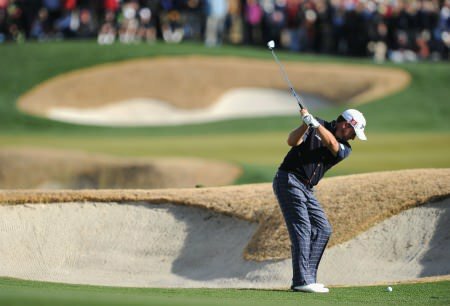 Picture: Fran Caffrey / www.golffile.ieGraeme McDowell and Shane Lowry should have been the happiest of the four Irish hopefuls who did battle in the WGC-Accenture Match Play before escaping the snow and biting winds of Dove Mountain.